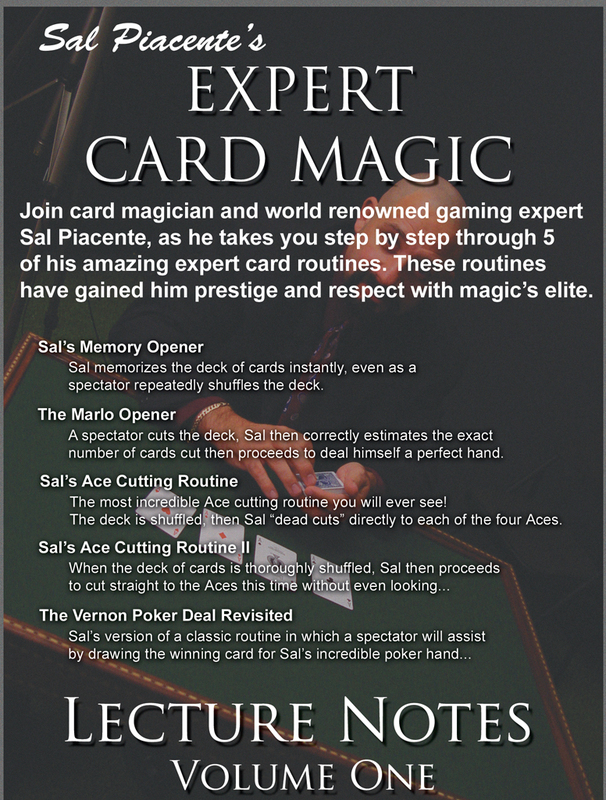 Today, when you order "Sal Piacente's Expert Card Magic Lecture Notes - Volume One", you'll instantly be emailed a Penguin Magic gift certificate. You can spend it on anything you like at Penguin, just like cash. Just complete your order as normal, and within seconds you'll get an email with your gift certificate. This DVD has some high quality card magic. Sal does an excellent job explaining each routine in detail. 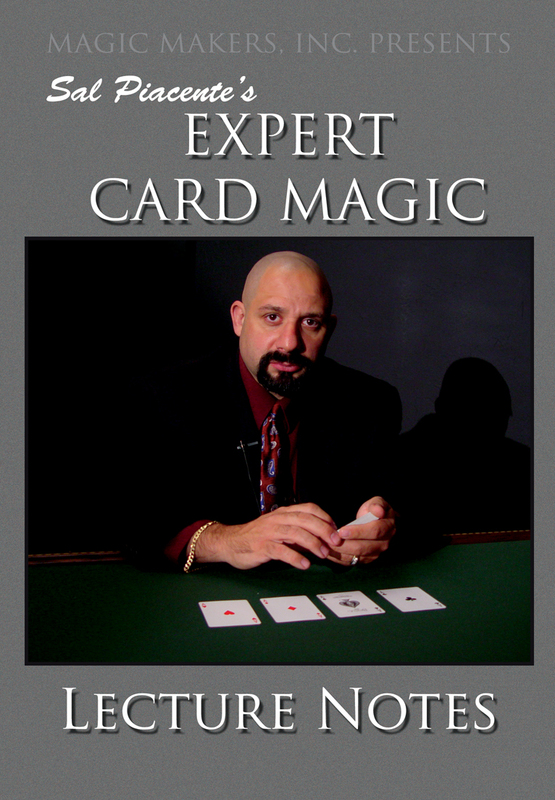 These are less like card tricks and more like card feats, truly the things to perform if you want to impress someone. Memory Opener is worth the price of both volumes 1 AND 2; it never fails to impress. This DVD is well done. Sal shows the trick to Rob Stiff at a table and you get the explanation just after the performance. Rob is amazed most of the time as we are ! Sal talks a bit about the history of the trick, where he got his ideas, and give thorough explanations for several minutes. There's no problem to understand each trick and none of them involve complex sleights. You'll have to work a bit on each of them to look as natural as Sal. I had a good time watching and learning from this DVD. 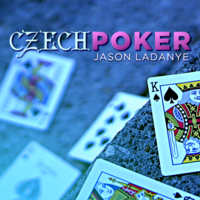 This DVD includes some of the best card routines ever! 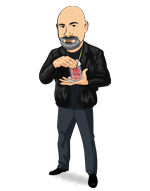 You can put up an entire show by doing these 5 routines Sal teaches in the DVD. He's also a great teacher. Mind you, you will need to practice performance skills in order to take these routines up to their max, but once you master them, they are DA BOMB!